Making smarter sports fans, one show at a time. Chris Spielman was a high school and Ohio State football legend and a four-time Pro Bowl linebacker, but he didn't tackle his toughest opponent until his playing career was almost over. In 1998 his wife Stefanie was diagnosed with breast cancer, and so began an 11-year journey that brought joy and suffering to the Spielmans, as well as hope and inspiration to thousands of others. 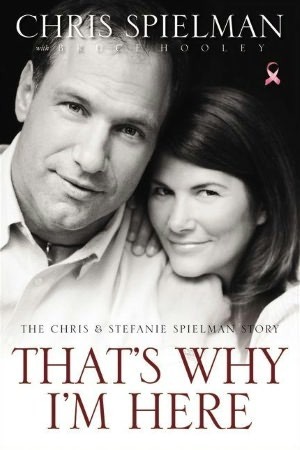 In That's Why I'm Here, Spielman traces his storied career, recalls his courtship of Stefanie Belcher, cherishes the growth of their four children and invokes the deep spiritual faith that gave their family wisdom and comfort in times of struggle. Though there are plenty of on-the-field tales in the book, its not just for football fans. Its for people whose lives have been touched by cancer, for people whose own faith has wavered, for people who want to meet a woman of tremendous beauty, grace and strength. Though Stefanie passed away on Nov. 19, 2009, her memory and inspiration live on. With laughter and tears, joy and heartbreak, this book lets you know her spirit is still here. 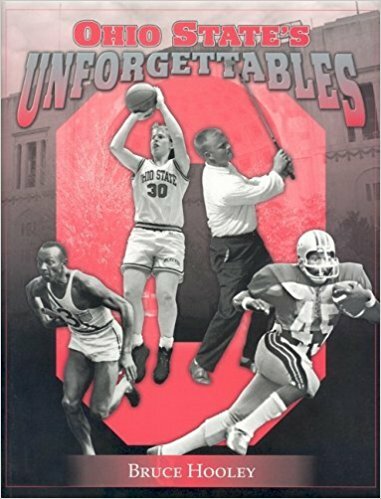 In Ohio States Unforgettables, Bruce Hooley profiles those who have made the Buckeyes synonymous with excellence in collegiate athletics. From the Heisman Trophy winners to a host of All-Americans and individual national champions in every sport, OSUs greatest athletes recall the on-field achievements that elevated them to unforgettable status in the hearts of their fans. Archived photographs revisit the eras in which these performers were the envy of both their supporters and their competitors. From Chic Harley to Eddie George, from John Havlicek to Scoonie Penn, Ohio State's Unforgettables will thrill and entertain those who bleed scarlet and gray.